Where’d you get those boots? Thanks to Gina K for calling me out … I went through the trouble to post my brilliant boot-inspired rap, but failed to tell you where I found my fabulous footwear. Now, these wide-calf boots can be yours! Go get ’em! 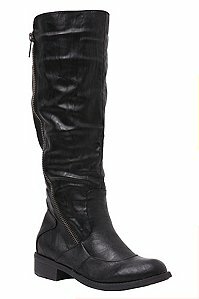 If you are a lady with plus-size calves (which, really, is anything larger than a toothpick, according to shoe designers), GOOD LUCK finding cute tall boots that fit over leggings and jeans. My search lasted approximately three years. No, I’m not kidding. 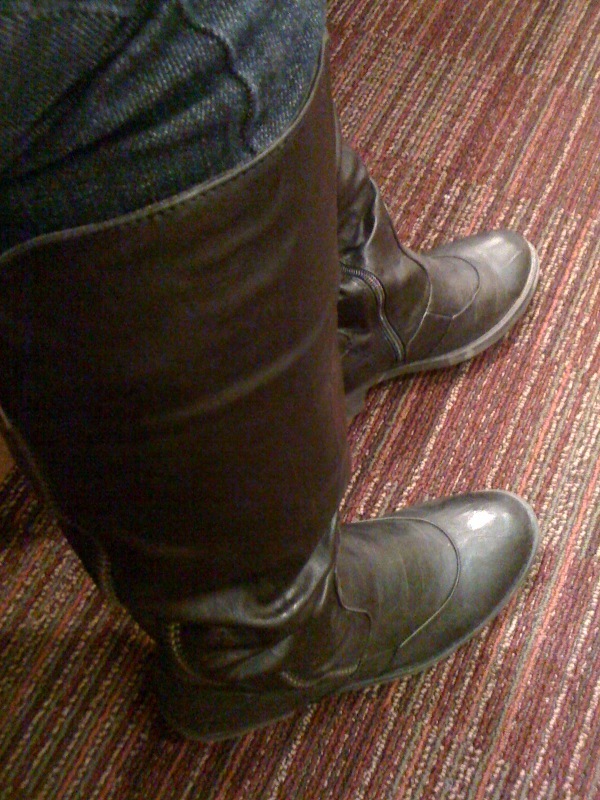 Sure, I’m obsessed with shoes — but a good pair of tall boots are indispensable during the colder months! They dress up or down and, if properly cared for, can last years. Imagine my jubilation when finally — FINALLY — I found a pair. My excitement couldn’t be contained with a mere exclamation, or even an impromptu strut around my loft. You wanna buy tall boots too?